All aboard the Gun Bus! 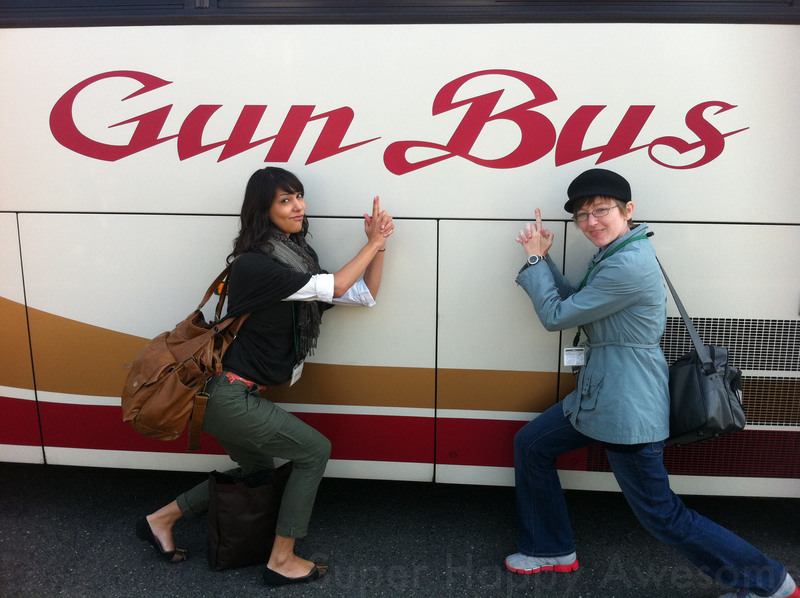 Well, it wouldn’t be a trip in Gunma if you didn’t ride the Gun Bus! Fabulous gun/kancho demonstration courtesy of our lovely guest stars, Chelsey, who can be found over at Fish in Man Bum and Liz, who may or may not have a blog. Thanks, ladies! This entry was posted in Engrish, Gunma and tagged engrish, engrish of the week, gun bus, Gunma, guns, Welcome to the Gun Show. Bookmark the permalink. 3 Responses to All aboard the Gun Bus! Does that bus go to the gun show? I hope you bought your tickets! This reminds me of a story that my Dad used to tell me about a bus company in the seventies called Crapper’s of Oxford.